Welcome! 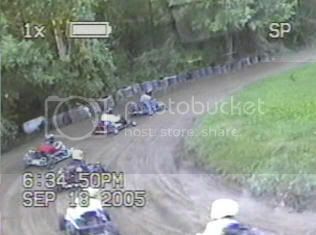 We are a Dirt Go-Karting Club that races for a Points championship every weekend from June-thru-October since the early 1990s, counting points since 1996, and online since 2005! We race gas-only stock 5-horsepower class at Galletta's Greenhouse's not-for-profit/race-at-your-own-risk/hobby Go-Kart Speedway Summer Sundays and Fall Saturdays, and a gas-only 8hp-and-less Yard Kart summer Thursdays at Oswego Speedway's Clay Dirt Oval. Always looking for new, experienced teen drivers or serious adult racers to join us! 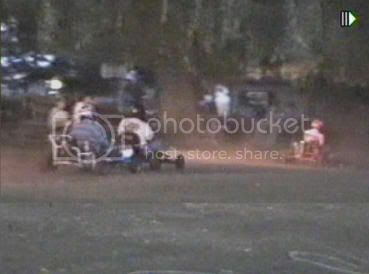 Mike Billion (in his #57) finally won his first race at Galletta's Speedway after a string of strong finishes. In a race that saw very few cautions and was finished at an amazingly fast pace, Mike held off a late challenge by points-leader Matt Stevens (in his Galletta's #3). Chris Stevens (running the Galletta's #0 instead his usual #8) again had to recover from some accidents in order to perform a late-race pass to get by a loose Mark Miller (in his #007) en route to scoring third, but he didn't have enough time to track down the leaders. Ogre developed more problems in his Galletta's #4 and hopped into the Galletta's #5 for sixth, where he was promptly schooled by 2nd year driver with less than 1 year's experience Fred Collins (in the Galletta's #2), who placed fifth. Considering that Ogre has more than ten years experience racing these karts on this track, it was a lesson in humility. Neil Gosch (in his #44) continued his streak of win-or-bust finishes by dropping out with mechanical problems late in the race, leaving some to speculate that the one race that he DID win, he was allegedly piloting a 6.5hp engine with the sticker removed, then allegedly switched back to a worn-out 5.5hp when the other drivers started grumbling. This is, however, only speculation. We appreciate honesty and sportsmanship from all competitors at the Galletta's Kartway, and we hope everybody is being sportsmen. Videotaped event.